Did You Receive a Complaint Against Your Business? 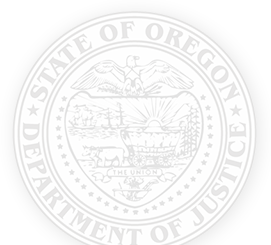 If you have received a letter from the Oregon DOJ Civil Enforcement Division via USPS or email, it may be because we have received a consumer complaint(s) about your business. These letters are on official letterhead and include an eight digit file number that begins with “FF” in the reference line. It will also include a copy of the consumer complaint(s). We do not represent the individual who complained. However, we do review every complaint for potential violations of the Oregon Unlawful Trade Practices Act, which is enforced by DOJ. Your prompt response to the allegations in the complaint is appreciated, and may help us determine whether we need to take action against your business or not. Your response to the individual who complained will be part of the public record maintained by the Oregon DOJ. It is our hope that you and the individual who complained can work together to resolve the issue(s). If the issue(s) are not resolved and the Oregon DOJ has reason to believe your business has violated the Unlawful Trade Practices Act, we are required to advise your business of the problem and give you an opportunity to enter into an Assurance of Voluntary Compliance (AVC) before filing a lawsuit against your business. An AVC requires your business to stop the unlawful practice and agree to not violate the law in the future. AVCs are filed in court and a violation of an AVC is considered contempt of court. In cases where businesses are engaged in conduct that may result in financial harm to consumers, the Attorney General may file a complaint and ask for $25,000 in penalties for each violation, an injunction, attorneys fees and restitution.